Today I'm posting at Reel Spirituality. Here's the first part of the article - please click over there for the rest! Bruce Wayne has a charmed life. He has loving, supportive parents, a loyal, caring butler, and a palatial estate to call home. But tragedy strikes. One evening, young Bruce is at the opera with his parents. Bruce, afraid of bats, is terrified by a scene in which the actors are dressed as bats. He asks his father to let him leave. 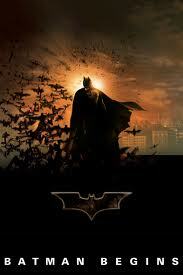 While standing in an alley outside of the theater, Bruce’s parents are mugged and murdered. Although the murderer was caught, Bruce struggled with anger and guilt – his fear brings his parents into the alley. Bruce is raised by Alfred, but leaves home as a young adult to study the criminal mind. He learns to confront his fear and decides to use fear to terrify criminals. 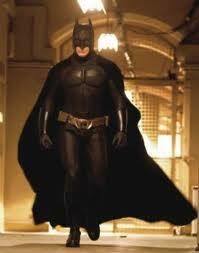 Symbolic of his attempt to master his own fear, Bruce takes on an alter-ego and becomes Batman. When Bruce’s parents die, Alfred is left to care for Bruce. Bruce travels the world and struggles with finding his identity but is always able to trust Alfred. Alfred repeatedly affirms that he will never give up on Bruce. Bruce asks why Alfred cares about him and about the Wayne family, and Alfred expresses that it’s because he was entrusted with caring for Bruce by Bruce’s father. Bruce feels guilt over his parents’ death and masks the feeling of guilt with anger. Many adoptees do struggle with feelings of guilt over their separation from their parents, and sometimes that feeling of guilt is expressed through anger. Have you found our Facebook page yet?